This airticle is aboot the municipality. For the island, see Jolo. Jolo (Tausūg: Sūg) is a 1st cless municipality on the island o Jolo, an the caipital an lairgest toun o the province o Sulu. Accordin tae the 2010 census, it haes a population o 118,307 fowk in 15,242 hoosehaulds. Pairt o its population is o Cheenese strynd, mainly frae Singapore. Of the population, 90% are Muslim, the remainin 10% are Christian. Jolo wis the centre o the govrenment o the Sultanate o Sulu. The toun o Jolo is locatit on the northwast side of the Jolo Island, which is locatit southwest of the tip of Zamboanga Peninsula on Mindanao island. The island is situated atween the provinces of Basilan and Tawi-Tawi, bounded bi Sulu Sea tae the north and Celebes Sea tae the sooth. Jolo is a volcanic island, which lees at the centre o the Sulu Airchipelago coverin 890 square kilometres (340 sq mi). 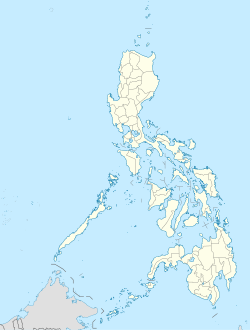 The Sulu Archipelago is a island chain in the Soothwast Philippines atween Mindanao an Borneo, which is made up o 900 islands o volcanic an coral oreegin coverin a aurie o 2,688 square kilometres (1,038 sq mi). Thare are numerous volcanoes an craters aroond Jolo wi the last kent activity (a yirdquauk assumit resultin frae a submarine eruption frae an undetermined location) takkin place on 21 September 1897 causin devastating tsunamis in the airchipelago an wastren Mindanao. Jolo is poleetically subdividit intae aicht barangays. It is said that the Cheenese traders who frequentit the place, namit Jolo efter ho lâng (好人). Ho lâng meanin ‘Guid Fowk’ reflects the Cheenese perception o the natives. Cheenese traders wad leave guids on Jolo’s shore, an fynd thaim undisturbit on thair return. The phrase wis eventually extendit tae ho ló (好佬) meanin ‘Guid Commonty’. In the 14t century, Arab traders landit on the island tae introduce an convert its indwallers tae Islam. The native indwallers on the island are the Tausūg fowk. The Tausugs are pairt o the lairger Moro group which dominates the Sulu Airchipelago. The Moro haed an unthirlt state kent as the Sultanate o Sulu, which wis poleetically an economically centred on Jolo, the residence for Sulu Sultanates. The Seat o the Ryal Sultanate o Sulu wis in Astana Putih, which is Tausug for ‘White Palace’ in Umbul Duwa in the municipality o Indanan on Jolo Island. In 1521, the splorer Ferdinand Magellan claimit the Philippines for Spain. The Spainyie failed tae conquer an convert the Muslim auries in the sooth. Efter consolidatin the northren pairt o the Philippine islands, thay failed tae tak ower the well-organisit Muslim Sultanates. Jolo wis the regional entrepot an developin ceety years afore the Philippines wis even a kintra. The Sulu economy formit its base aroond commerce an throu the netwirk o nearbi tradin pairtners. The Sultanate benefitit frae importin rice frae northren Philippines, as the Sulu region haed a chronic rice shortage. The Sultanate wis unable tae bring agricultur tae its full potential acause the aurie wis prone tae erratic rainfaw an drocht. Syne the 15t century, the Sulu Sultanate tradit local produce wi neebours an wi kintras as far as Cheenae bi sea. Maist o the import an export tred wis done wi Singapore which wis estimatit tae be worth hauf a million dollars annually. In 1870, the Tausug lost hintle o thair redistributive tred tae the Cheenese acause o the Spainyie cruisin seestem an Cheenese immigration frae Singapore. Maistly oreeginatin frae the Fujian province, maist o the Cheenese in Jolo wirkit as craftsmen, skilled an unskilled laborers an domestic servants for walthy Tausugs an Cheenese. Singapore servit as a trainin grund frae which thay learned the Malay leid an became experiencit in dealin wi Sootheast Asies. It wis thir Cheenese who eventually dominatit tred in Jolo an benefitit greatly frae Jolo’s status as a entrepot, an exercisit profoond influence ower the Sulu Sultanate. Housomeivver, the Sultanate wis no keen on the Cheenese monopoly. Bi 1875, Sultan Amal ul Azam wantit a Inglis merchant tae establish hissel in order tae break the monopoly at Jolo. Cheenese who livit in Sulu ran guns athort a Spainyie blockade tae supplee the Moro Datus an Sultanates wi wappens tae fecht the Spainyie, who wur engagin in a campaign tae subjugate the Moro sultantes on Mindanao. A tred involvin the Moros sellin slaves an ither guids in exchynge for guns developit. The Cheenese haed entered the economy o the sultante, takkin control o the Sultanate's economies in Mindanao an dominatin the mercats. Tho the Sultans did no lik the fact that the Cheenese near exclusvie control ower the economy, thay did business wi thaim. The Cheenese set up a tradin netwirk atween Singapore, Zamboanga, Jolo an Sulu. The Cheenese sauld smaw airms lik Enfield an Spencer Rifles tae the Buayan Datu Uto. Thay wur uised tae battle the Spainyie invasion o Buayan. The Datu peyed for the wappens in slaves. The population o Cheenese in Mindanao in the 1880s wis 1,000. The Cheenese ran guns athort a Spainyie blockade tae sell tae Mindanao Moros. The purchases o thir wappens wur peyed for bi the Moros in slaves in addeetion tae ither guids. The main group o fowk sellin guns wur the Cheenese in Sulu. The Cheenese teuk control o the economy an uised steamers tae ship guids for exportin an importin. Opium, ivory, textiles, an crockery wur amang the ither guids which the Cheenese sauld. The Cheenese on Maimbung sent the wappens tae the Sultanate o Sulu, who uised thaim tae battle the Spainyie and resist thair attacks. A Cheenese wis ane o the Sultan's brither in laws, the Sultan wis marriet tae his sister. He an the Sultan baith awned shares in the ship (namit the Far East) which helpit smuggled the wappens. The Spainyie launched a surprise affensive unner Colonel Juan Arolas in Apryle 1887 bi attackin the Sultanate's caipital at Maimbung in an effort tae crush resistance. Wappens wur captured an the property o the Cheenese wur destroyed while the Cheenese wur deportit tae Jolo. In 1876, the Spainyie attemptit tae gain control o the Muslims bi burnin Jolo an wur successfu. In Mairch 1877, The Sulu Protocol wis signed atween Spain, Ingland an Germany which recognisit Spain’s richts ower Sulu an eased European tensions in the aurie. Tred suffered hivily in 1892 when three steamers uised for tred wur lost in a series o storms on the tred route atween Singapore an Jolo. The traders in Singapore lost sae hivily as a result that thay refused tae accept tred unless it wis peyed for in cash. Alang wi the fear o increased taxation, mony Cheenese left tae ither pairts o the Airchipelago as Jolo lost its role as the regional entrepot. The Tausug haed awready abandoned tradin when the Cheenese arrived. Sicweys, Jolo niver fully gained its previous tradin status. Housomeivver, the Cheenese continued tae dominate tred throuoot the Airchipelago an Mindanao. In 1899 follaein the Treaty o Paris o 1898, sovereignty ower the Philippines wis transferred frae Spain tae the Unitit States who attemptit tae forcibly incorporate the Muslim auries intae the Philippine state. The American colonizers eventually teuk ower the soothren regions wi force (see Moro Rebellion). The Sultanate o Sulu wis abolished in 1936. The majority o the fowk livin in Jolo practice Islam, but thare is a significant Christian minority consistin o Roman Catholics an Protestants an aw as majority o the Philippines are Christians. Tausugs wur the first Filipinos tae adopt Islam when the Muslim missionar Karim ul-Makhdum came tae Sulu in 1380. Ither missionaries included Raja Baguinda an the Muslim Arabian scholar Sayid Abu Bakr, who became the first Sultan o Sulu. The faimily an commonty relations are based on thair unnerstaundin o Islamic law. The Tausug are hivily influencit bi thair pre-Islamic tradeetions an aw. Tulay Central Mosque is the lairgest mosque in toun an in the province. Thare are numerous mosques locatit in different auries an barangays aroond Jolo an aw. The Oor Lady o Munt Carmel Kirk is a Roman Catholic kirk locatit in the toun centre an is the biggest kirk in toun. Majority o Joloanos speak the native Tausug. Inglis an Tagalog (Filipino) are uised specially in schuil an different offices athin the toun an aw. Hokkien is uised bi Cheenese traders. Ither leids include Samal/Badjao. Accordin tae the 2000 Philippine census bi the Naitional Statistics Office, the Tausug leid ranks nummer 14 wi 1,022,000 speakers aw ower the kintra, the speakers mainly comin frae Wastren Mindanao. Bangsamoro or Moroland is the hameland o the Moro, which is a Spainyie term uised for Muslims. The majority o Jolo’s fowk are Tausugs - the ethnic group that dominates the Sulu Airchipelago. Tausug derives frae the wirds tau meanin “man” an sug meanin “current”, which translates tae “fowk o the current”, acause thay wur kent tae be seafarers wi militar an merchant skills. The Tausugs are kent as the warrior tribe wi excellent fechtin skills. Afore the Tausugs adoptit Islam, the Tausugs wur organizit intae kauman an wur govrened bi a patriarchal form o govrenment wi the individual datus as heids o thair awn commonties. The soorce o law wis the Adat which the Tausugs follaeed strictly. The Tausug airts an handicrafts hae a mix o Islamic an Indonesie influences. Pangalay is a popular celebratory dance at Tausug weddings, which can last weeks dependin on the financial status an greement o the faimilies. Thay dance tae the muisic o kulintangan, gabbang, an agong. Anither tradeetional dance o courtship is the Pangalay ha Agong. In this dance, twa Tausug warriors compete for the attention o a wumman uisin an agong (lairge, deep, brass gong) tae demonstrate thair competence an skill. A lairge portion o the population in Jolo is o Cheenese strynd. Atween 1770 an 1800, 18,000 Cheenese came frae Sooth Cheenae tae tred an mony o thaim stayed. In 1803, Portuguese Caiptain Juan Carvalho reportit that thare wur 1,200 Cheenese livin in the toun. The reorientation o the Sulu tred patterns caused a influx o Cheenese immigrants frae Singapore. In Jolo, maist o the residents are in the agricultur industry. Agricultural products include coconut, cassava, abaca, coffee, lanzones, jackfruit, durian, mangosteen an marang. Jolo is the anerly municipality in Sulu that daes no ferm seaweed. Fishin is the maist important industry; itherwise fowk engage in the industries o boat biggin, mat weavin, coffee processin, an fruit preservation. Thare war different banks operatin in Jolo an servin the fowk o Jolo for thair needs. Thir includit the Philippine National Bank, Metro Bank, Allied Bank, Islamic Bank, Land Bank an Development Bank of the Philippines. Automatit teller machines (ATMs) are available in selectit bank branches an aw. Economic development in Jolo haes been hampered bi instability, violence an unrest caused bi the presence o several Islamist separatist groups in the Bangsamoro. The lang-runnin separatist insurgency haes made thir Muslim-dominated islands some o the poorest regions in the naition. Jolo haes facit a lairge degree o lawlessness an poverty. Jolo is a main stranghauld for the Al-Qaeda-linkit Abu Sayyaf group, an thir condeetions are ideal for militant recruitment. Housomeivver, the situation haes impruivit syne the US haes investit in developin the region. In 2007, Unitit States Unnersecretar o State for Public Diplomacy an Public Affairs Karen Hughes an US Ambassador Kristie Kenney visitit Jolo tae learn aboot US govrenment-sponsored projects for ‘development, peace an prosperity’ in the region. The United States Agency for International Development (USAID) haes fundit a ‘ferm-tae-mercat’ road atween Maimbung an Jolo tae help farmers transport agricultural produce tae the mercat. On her veesit, Kenney annooncit the $3 million plan tae impruive the Jolo Airport. Syne 1997, USAID haes spent $4 million a year in the region. Ither institutions involvit are the World Bank, JICA an AusAID. The Filipino govrenment haes spent ower P39 million for development an infrastructur in Sulu. In October 2008, the Provincial Govrenment o Sulu in cooperation wi the Local Watter Utilities Admeenistration (LWUA), the United States Agency for International Development (USAID), the Mindanao Economic Development Council (MEDCO) an the Jolo Mainland Watter Destrict (JMWD) stairtit the construction o a 54 million pesos project tae upgrade the watter supply seestem in Jolo. In present day Sulu, thare is a degree o lawlessness an clan-based politics. Thir clan lines are based alang faimily ties, which stairtit efter Arthur Amaral proposed marriage tae a wumman frae a rival clan. The rejectit proposal caused a faimily feud which forcit faimilies tae tak sides. Thare are 100,000 rifles circlin the Sulu airchipelago. Amaist ivery hoosehauld awns a gun, an the clans aften settle disputes wi violence. Maist o the disputes atween clans revolve aroond land. The clan-based society maks it extremely difficult for pols tae impose law. Thare are several gun shuitins an the Filipino Airmy is aften cried in tae settle disputes. In Apryle 2008, the Jolo Zone o Peace, which wis supportit bi the Geneva-based Centre for Humanitarian Dialogue (CHD), wis established whaur fireairms wur restrictit in mediatin conflicts atween clans. The Sulu govrenment is attemptin tae spread this zone o peace intae the kintraside. The island wis considered dangerous for foreigners, especially Americans, as militants threatened tae shuit or abduct thaim on the spot. Hintle o the anger comes frae when American colonizers killed 600 men, weemen an childer, who haed retreatit up Munt Dajo in 1906 efter refusin tae pey taxes, in the First Battle o Bud Dajo durin the Philippine–American War. Housomeivver, the American image haes impruivit syne American development plans for the region wur carriet oot. The maist radical separatist Islamic group Abu Sayyaf claims tae be fechtin for an Islamic state unthirlt o the Roman Catholic Philippine govrenment. The group haes stranghaulds in Jolo an Basilan. Driven bi poverty an heich rewairds, a significant nummer o local residents are suspectit tae wirk for thaim. The Abu Sayyaf haes committit a series o kidnappins. On 23 Apryle 2000, the Abu Sayyaf raidit the Malaysie resort island o Sipadan an kidnappit 21 tourists frae Germany, Fraunce, Finland an Sooth Africae an brocht thaim back tae Jolo, askin for $25 million in ransom money. The Abu Sayyaf haes kidnappit several jurnalists an photographers in Jolo an aw. The US haes awready spent millions o dollars for information leadin tae the arrest o militants; an affered up tae $5 million in boonty wi Manila as much as P10 million rewaird for information leadin tae the captur o Abu Sayyaf leaders. Sulu govrenor Benjamin Loong supportit the US Special Forces projects “Operation Smiles” o providin medical care, an building roads an schuils. The US Special Forces an Govrenor Loong howps that winnin respect an alleviatin poverty frae the fowk will stap terrorist recruitment. Govrenor Loong claimit that mony residents hae turned awa Abu Sayyaf an Jemaah Islamiah members. Three months efter the 11t September attacks, George W. Bush annooncit the US wis openin a seicont front in the War on Terror in the Philippines. The Airchipelago became the testin grunds for the Philippine anti-terror plan “Clear, Hold and Develop”. In August 2006, Operation Ultimatum wis launched an 5,000 Philippine marines an sodgers, supportit bi the US Special Forces began clearin the island o Jolo, fechtin against a force o 400 guerillas. Bi Februar 2007, the toun o Jolo wis deemit cleared o terrorists. The Moros are geographically concentratit in the Soothwast o the Philippines. Moros identifee maistly wi the majority Muslim naitions o Indonesie an Malaysie acause o thair geographic proximity, an linguistic an cultural similarities. Moros hae facit encroachments frae the Spainyie, Americans an nou face the naitional Philippine govrenment. Sicweys, the struggle for the Moro unthirldom state haes existit for ower 400 years. Jolo haes been the centre o this conflict. Atween 1972 an 1976, Jolo wis the centre o the Muslim Separatist Rebellion atween the Muslim militants an the Marcos regime which killed 120,000 fowk. In 1974, fechtin breuk oot when the govrenment troops stoppit the Moro Naitional Leeberation Front (MNLF) frae takkin ower the toun. Currently, the Moro Naitional Leeberation Front is the Rulin Pairty o the Autonomous Region in Muslim Mindanao (ARMM). In 1996, the MNLF wis grantit leadership o the ARMM in response tae the caws for Muslim autonomy. Abdusakur Tan is the govrenor o Sulu an Husin Amin is the mayor o Jolo. Politeecians in thir regions rose tae pouer wi the help o clan connections. ↑ "Eruption history of Jolo". Global Volcanism Program. ↑ U.S. Bureau of Census. "Census of the Philippine Islands, 1903", pp.217-218. Government Printing Office, 1905. ↑ 7.0 7.1 7.2 Ang, Josiah C. "Historical Timeline of the Royal Sultanate of Sulu Including Related Events of Neighboring Peoples". Center for Southeast Asian Studies Northern Illinois University. ↑ 8.0 8.1 Garrido, Marco C. (2005-01-20). "Tribulation Islands, Part 2". Asia Times. ↑ James Francis Warren (2007). The Sulu zone, 1768-1898: the dynamics of external trade, slavery, and ethnicity in the transformation of a Southeast Asian maritime state (2, illustrated ed.). NUS Press. pp. 129, 130, 131. ISBN 9971-69-386-0. ↑ James Francis Warren (2007). The Sulu zone, 1768-1898: the dynamics of external trade, slavery, and ethnicity in the transformation of a Southeast Asian maritime state (2, illustrated ed.). NUS Press. p. 130. ISBN 9971-69-386-0. ↑ James Francis Warren (2007). The Sulu zone, 1768-1898: the dynamics of external trade, slavery, and ethnicity in the transformation of a Southeast Asian maritime state (2, illustrated ed.). NUS Press. p. 131. ISBN 9971-69-386-0. ↑ 12.0 12.1 James Francis Warren, "The Sulu Zone, 1768-1898: The Dynamics of External Trade, Slavery, and Ethnicity in the Transformation of a Southeast Asian Maritime State". National University of Singapore Press, Singapore. ↑ 13.0 13.1 "People, Culture and the Arts". Province of Sulu Official Web Site. ↑ Kamlian, Jamail A.. "Islam, Women and Gender Justice: A Discourse on the Traditional Islamic Practices among the Tausug in Southern Philippines". Emory University School of Law, Atlanta, Georgia, U.S.A.
↑ "Tourism". Province of Sulu Official Web Site. ↑ Crossette, Barbara (1987-09-11). "In Filipino Port, Lawlessness Grows". New York Times. ↑ (2008-09-25). "P54-million water supply project for Jolo mainland". Local Water Utilities Administration. ↑ AlJazeeraEnglish (2008-07-29). "People and Power - Gun culture - 29 July 08 Part 1". YouTube. ↑ AlJazeeraEnglish (2008-07-29). "People and Power - Gun culture - 29 July 08 Part 2". YouTube.